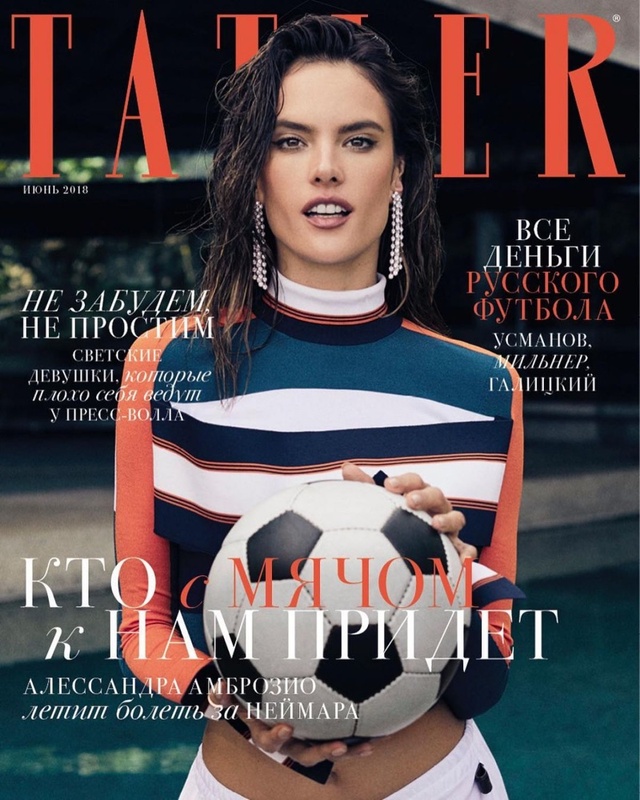 head of the World Cup, Alessandra Ambrosio gets into the football spirit on the June 2018 cover of Tatler Russia. Lensed by Zoe Grossman, the Brazilian beauty wears a Louis Vuitton top and pants with a football in hand. For the accompanying spread, Alessandra turns up the heat wearing barely there bodysuits and sporty track pants styled by Renata Kharkova.